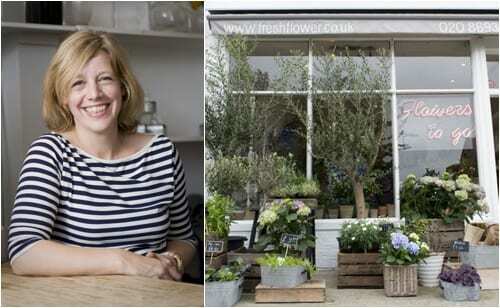 Today, I’m delighted to feature an interview with florist Fran Bailey of The Fresh Flower Company. You may remember that Fran contributed some of the flowers for the floral-inspired cakes shoot which I featured last year. My love of flowers and all things botanical started young. My father is a horticulturalist and grower who came to England from Holland in the 1950s. I was lucky to grow up surrounded by flowers and loved to help out on the nursery where we grew freesias, dahlias and lilies. 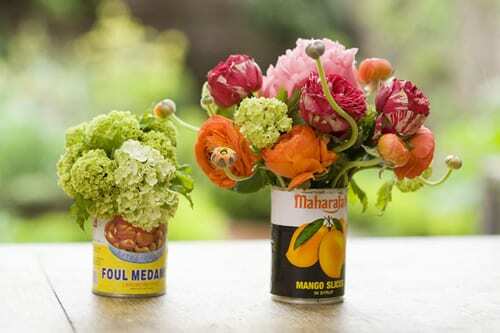 I moved towards the design and floristry side of things when I went to Horticultural College in North Wales. 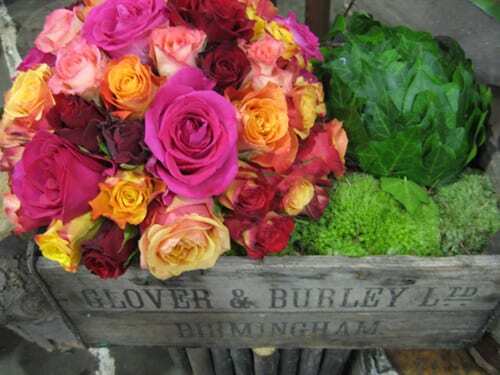 I moved down to London and worked freelance with some great florists including Ming Veevers Carter, Marcia Hurst and Fallulah Rouse before setting up The Fresh Flower Company in 1999. 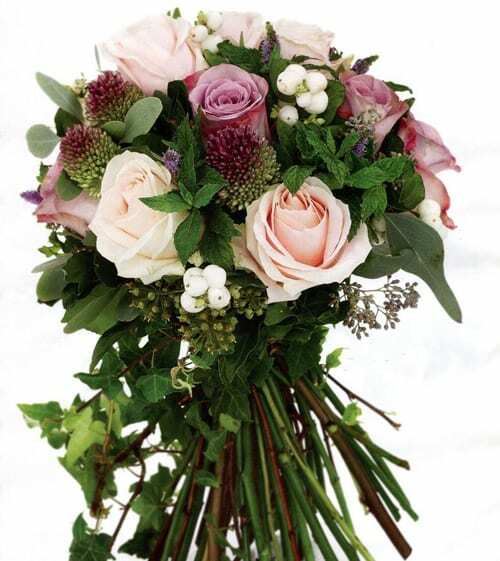 At that time, the business was based in Wandsworth and focused on weddings and corporate events. Then in 2006, I jumped at the opportunity of opening a shop on North Cross Road in East Dulwich, where I live. The area has a very vibrant feel to it which, combined with the busy weekend market and number of independent retailers, has helped the shop to flourish. We’re very busy with weddings and events and are lucky to work in some fantastic and varied venues, including St. Paul’s Cathedral, Tower Bridge, The Wapping Project and Fulham Palace. And increasingly, more weddings take us out of London. 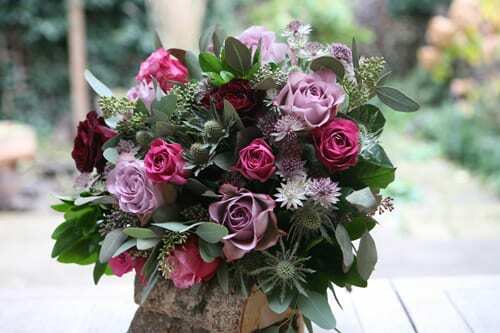 Our online flower sales are very busy and we’re proud to deliver our hand-made designs to customers throughout the UK. I’m really looking forward to working with Lassco in Brunswick House, which has opened its doors for events and weddings. The house is filled with architectural antiques, salvaged objects and curiosities. The grandeur of the rooms and eclecticism of the collection fits in with what we love to do and complements our style. We’ve also got a fantastic wedding coming up at The Priory Barn in Hertfordshire. The bride has commissioned us to recreate the feel of an Elizabethan walled garden inside the barn. So we’ll be constructing topiary shapes on birch poles, installing some espalier fruit trees, planting up herb boxes and using masses of scented, old English style garden roses. I think our style combines both classic English and Dutch influences. 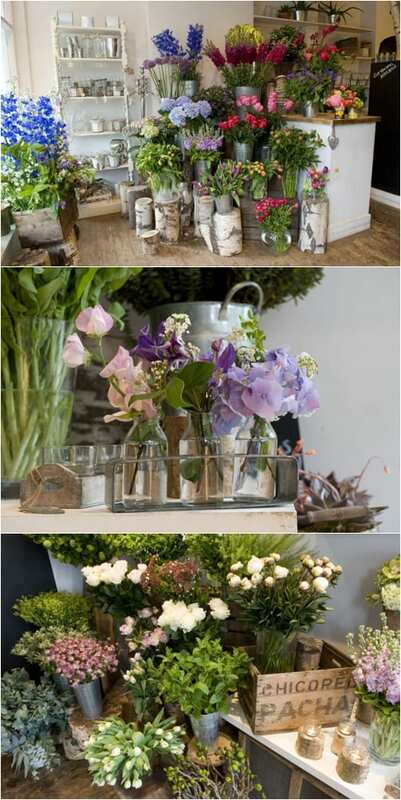 Taking inspiration from nature, using salvaged and reclaimed objects and combining these with beautiful, seasonal English flowers. I’m very much inspired by the Dutch landscape designer Piet Oudolf who leads the way in urban rooftop landscaping and greening cities. I also love the style and simplicity of Derek Jarman’s garden in Dungeness. The list could go on because every day, living in such a vibrant and exciting city, I take inspiration from everywhere! What are your plans for the remainder of 2012? We’re very busy planning a number of events being hosted in London during the Olympics and our wedding season is getting underway. 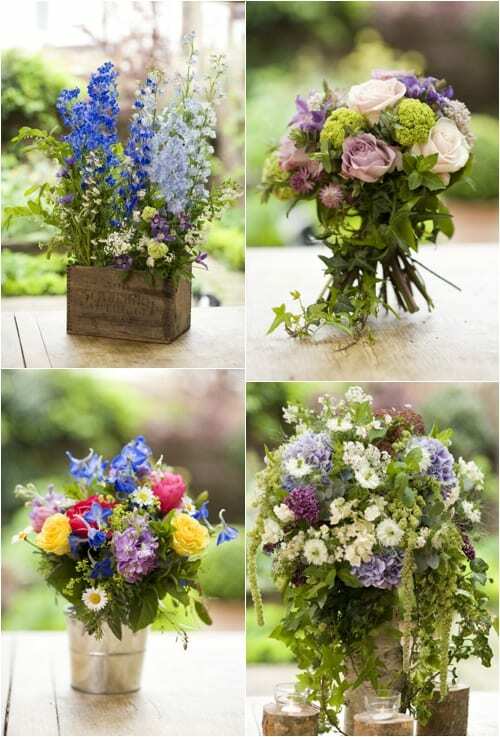 We’re also in the process of sourcing local growers to supply us with seasonal English flowers. Co-operative movements like Flowers from the Farm are springing up everywhere and that’s something that we’d be interested in getting involved with. Alliums, fritillaria, clematis and grasses are some of my favourites. In May and June, one of our best sellers was the peony, ‘Coral Sunset‘ – a stunning flower that first opens as bright coral pink and then fades to soft apricot. I hope you’ve enjoyed reading my interview with Fran today. I’d like to thank her for all her help in putting the blog post together.